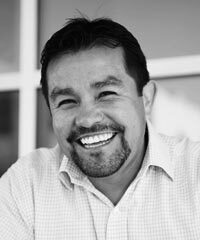 Raised by a family of farming entrepreneurs in Watsonville, California, Jose Corona understands by way of practical experience how growing businesses have the power to transform communities. He has built a reputation as a leader with strong, innovative management and as a convener of public, private, and community leaders working toward fundamentally changing the way communities and all its residents benefit from economic development efforts. Corona led Inner City Advisor’s (ICA) launch of Fund Good Jobs, an investment fund focused on using capital to catalyze job creation, and its Talent Management Initiative, an innovative approach that is transforming the workforce development sector by influencing entrepreneurs to be strategic human capital leaders and managers to support the hiring, promoting, and transitioning of people.